DON’T MISS ME IN MIDDLETOWN, CT THIS WEEKEND! Already seen Paranormal Activity 3? Then you’ve got only one more thing to do this weekend—visit me at the 9th Annual Open Air Market and Festival at Wadsworth Mansion in Middletown, CT Sunday from 9 a.m. – 4 p.m.
I’ll be there signing books and socializing with New England Horror Writers Association members Stacey Longo, Rob Watts, Kasey Shoemaker, and Dan Foley. Don’t miss your chance to pick up some signed spooky reads for Halloween! 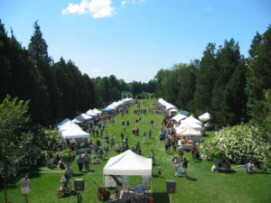 The event will feature Connecticut grown or made products, entertainment throughout the day, horse-drawn carriage rides, face painting, and docent-lead tours of the mansion (which I hope I get the opportunity to do!). It’s held at Wadsworth Mansion at Long Hill Estate, 421 Wadsworth Street, Middletown,CT 06457.